looks like it was a ghia once! looks weird now lol! atleast get a private or better still an earlier one! Last edited by wiraxr2 on Fri Dec 21, 2012 7:56 pm, edited 1 time in total. The Converted Mk2-1 doesn't look that bad. The scuttle hasn't been sorted though. Probably why the bonnet's been left up. That was the main thing that prevented me converting the 1.1 Festival a few years ago. I couldn't get a Mk1 scuttle panel. 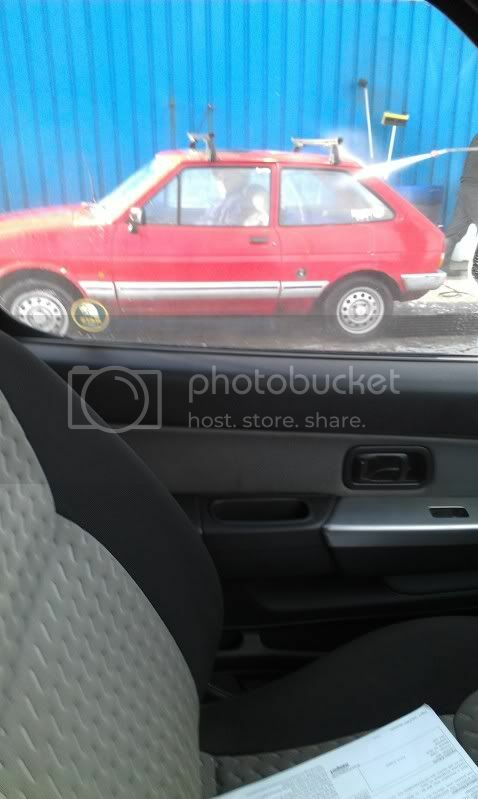 I didn't get a pic but I spotted red Mk2 XR2 today in Llanelli (South Wales). I *think* the reg was F539 PPC. Anyone on here? Click the pic to visit Monkey Hut for a wide range of t-shirts. We have a growing range of car designs as well as offering custom tees. I spotted a very original and tidy looking 'F' reg red XR2 in Beaulieu High Street (Hampshire), yesterday. Didn't get a chance to stop and take a pic. Don't know if it's anyone on here? 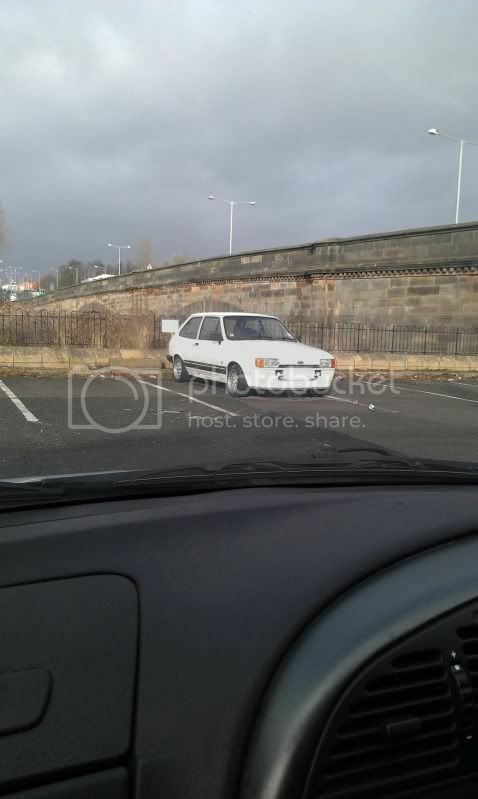 Spotted a C reg XR2 (black) in Beeston- Nottingham. Seen it twice now once on Field lane and tonight near to Toton Tesco. Anyone on here? 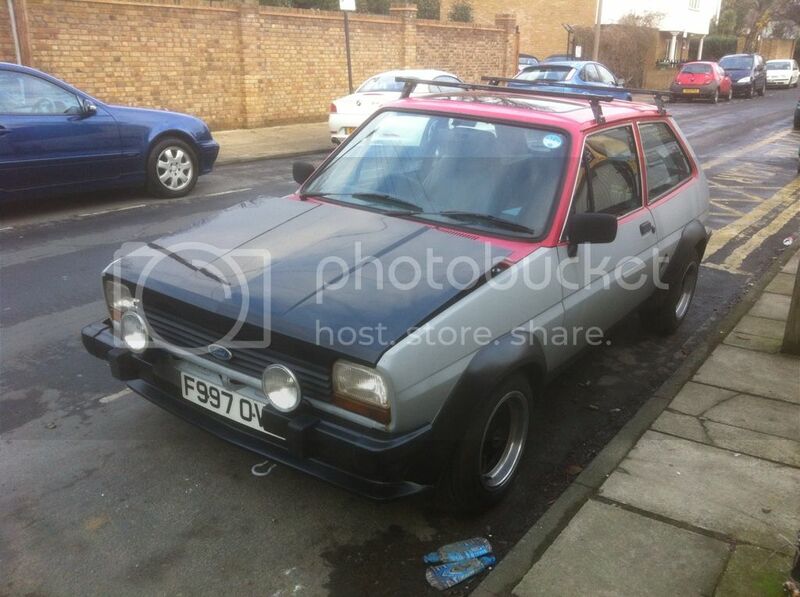 Training in Milton Keynes yesterday spotted a white F reg XR2 on the way in about 8:45. Looked pretty tidy and made me smile. White D plate Mk2 XR2 with a front mount intercooler/oilcooler heading into Mold at 9.00 this morning. Anyone on here? Looked tidy and as if it was on very stiff shocks! Saw a mk1 boggo spec being towed down the A2 in Kent thurs evening. No pics but hope she was going to be restored!